come with a garma mecha man. 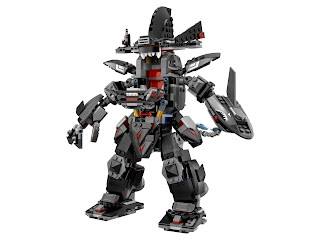 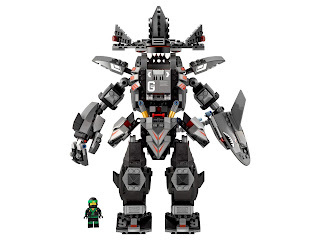 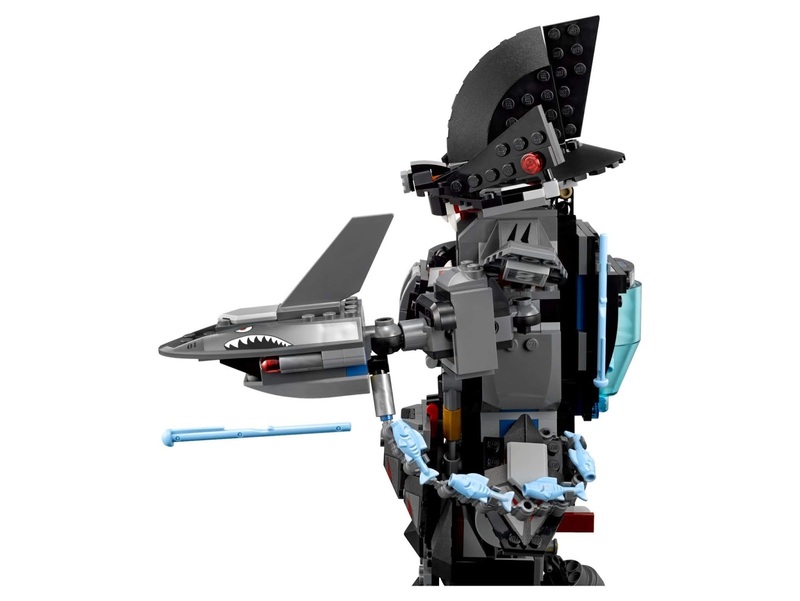 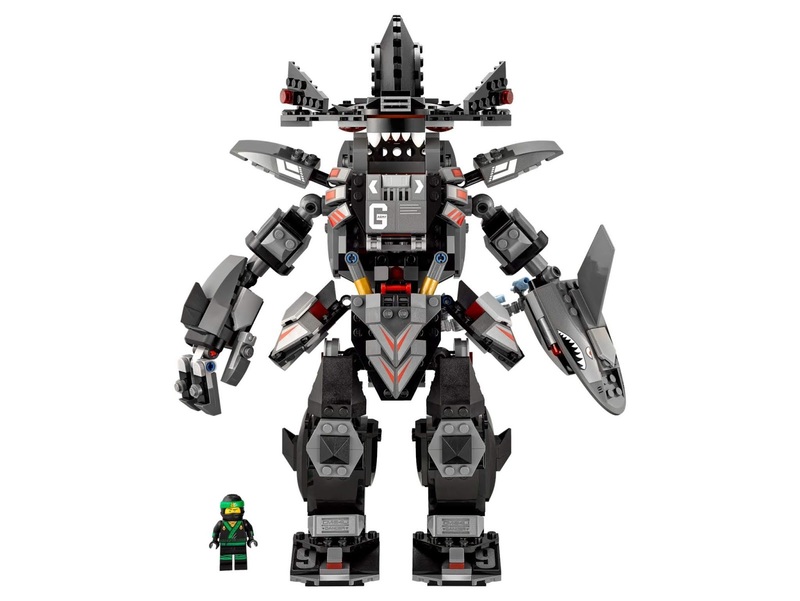 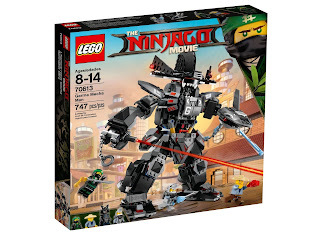 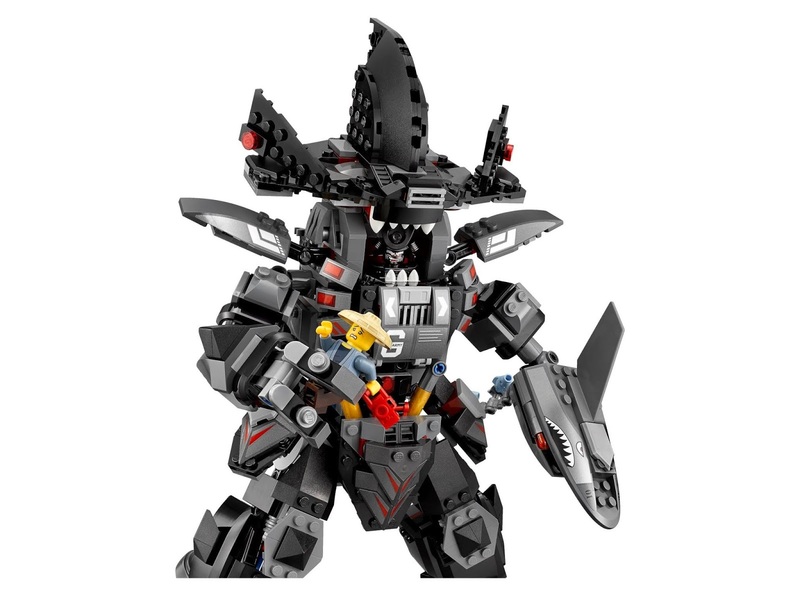 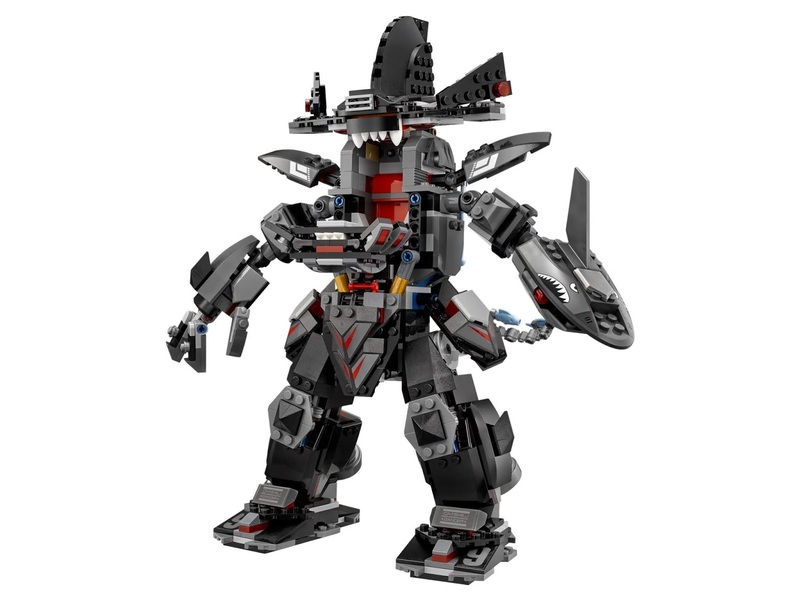 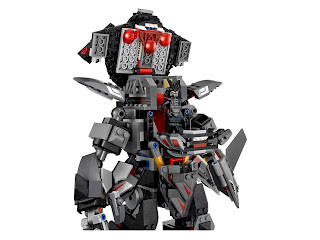 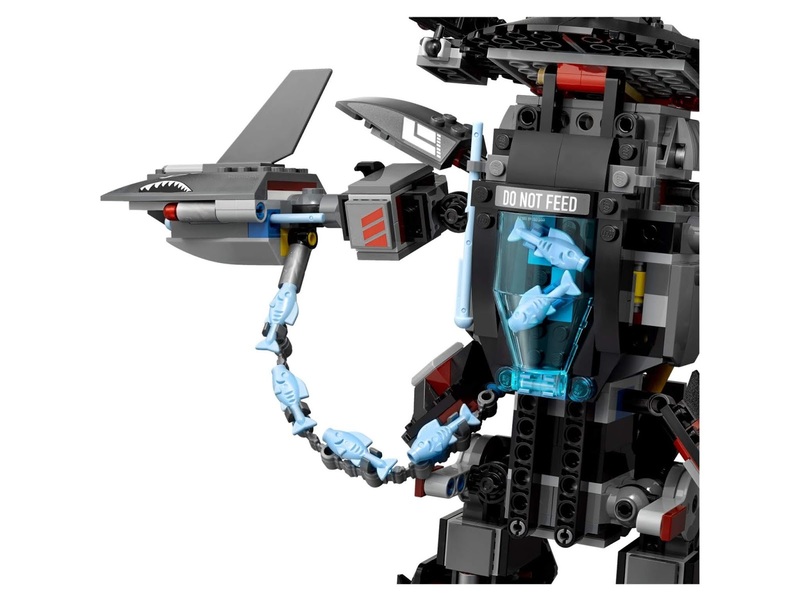 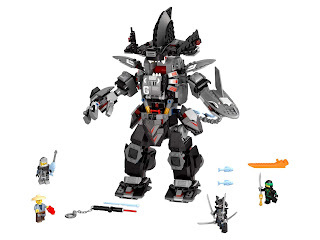 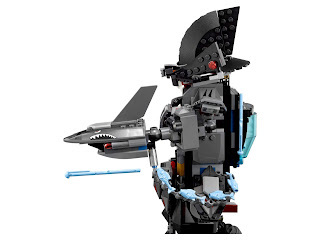 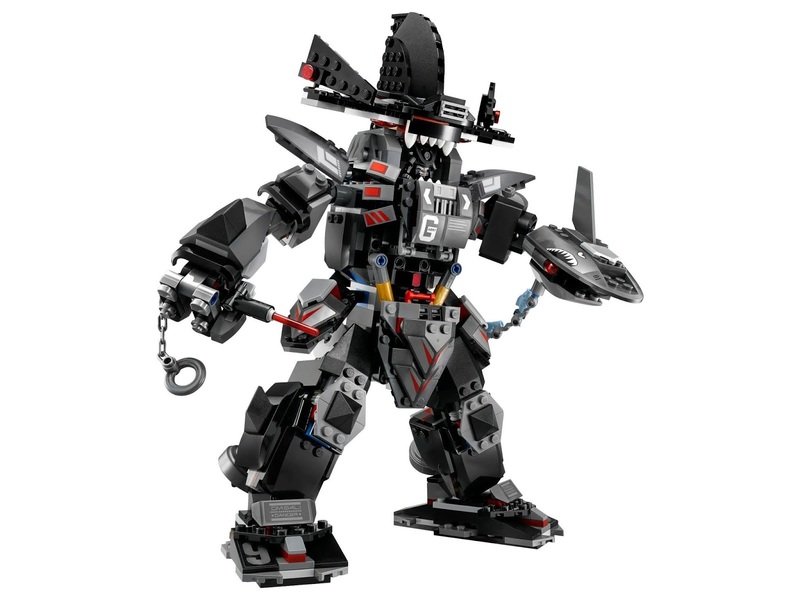 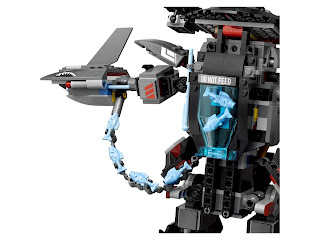 the mecha has an openable minifig cockpit, a posable head, arms and legs, a spring loaded shark blaster, an ammo belt with shark shaped ammos and an openable transparent blue fish tank with mini sharks. 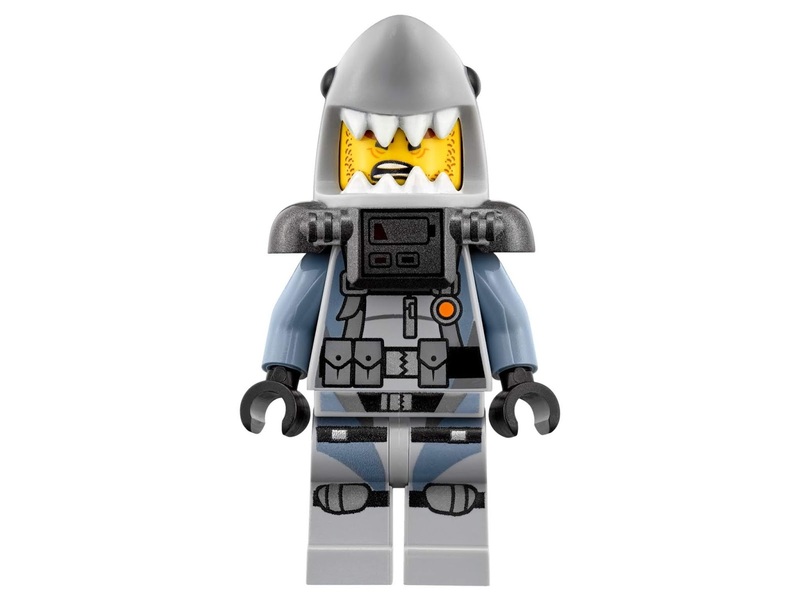 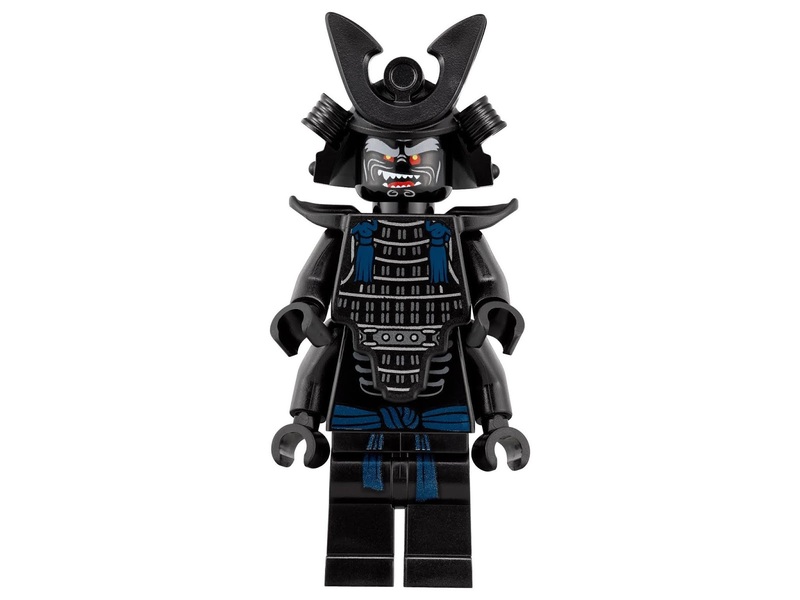 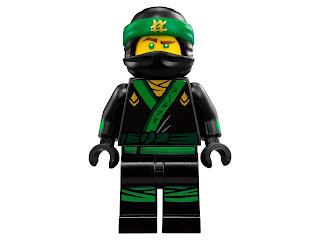 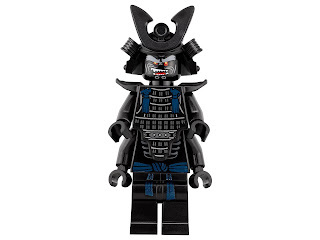 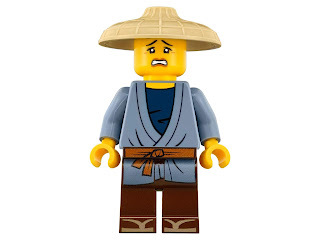 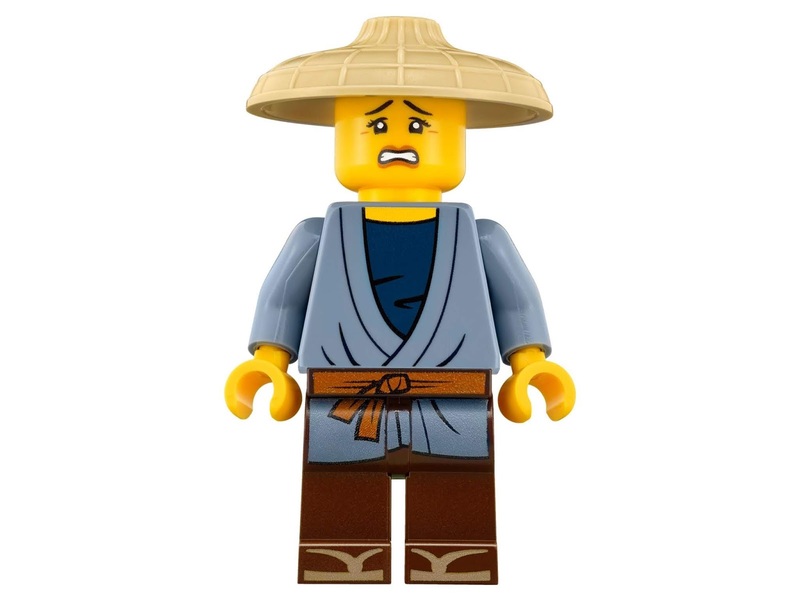 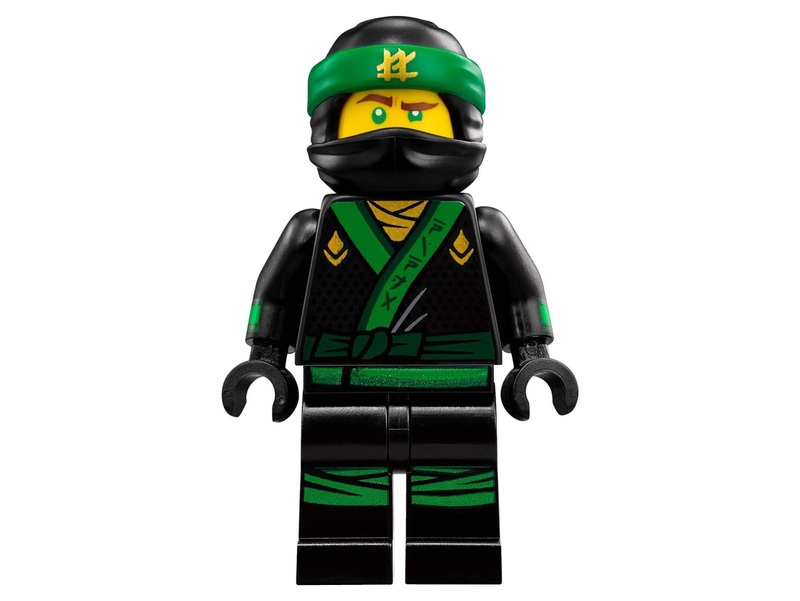 minifigs included a garmadon minifig, a great white minifig, a lloyd minifig and a pat minifig.